This is Part II to the continuing saga of deciding which kitchen items will make the cut to be placed on my (and perhaps your) wedding registry. 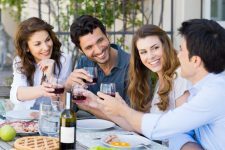 I’m hoping that YOU can take away some inspiration or get some ideas from this article to help you plan your registry list. To read part 1 (cookware) of this odyssey go here. 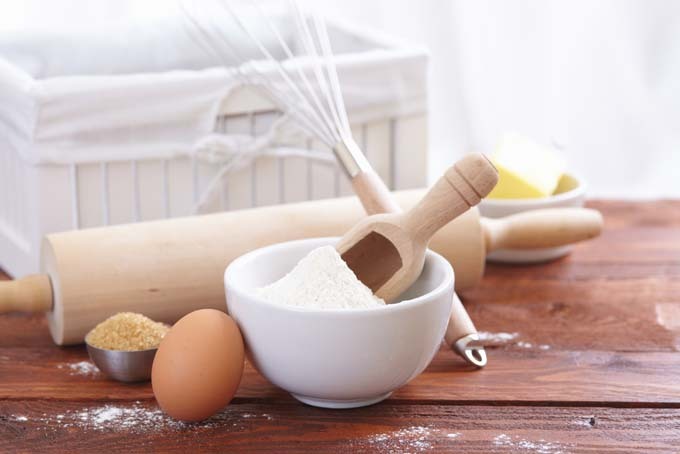 Not to mention, baking tools and ingredients are some of the most fun things to buy. More than once I’ve found myself walking out of a department store with funky things like a football-shaped cake pan or adorable printed mini-cupcake tin liners. Before I attempt to tuck anything else like that into my little remaining storage space, I want to make sure my kitchen has got the baking basics. My registry is the perfect place to start! A standard baking dish is a very basic but multi-purpose piece of bakeware. This will be what any recipe for brownies, bars, or crumbles calls for. You’ll also find it comes in handy for things like scalloped potatoes, dinner rolls, or just baking chicken drumsticks. 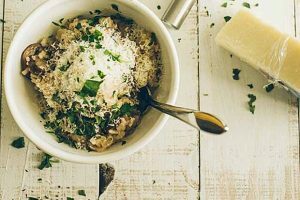 Tons of recipes call for these kinds of dishes, so make sure this is on your registry if you don’t have one already. In fact, it’s good to get these in a couple different sizes, and bonus points if you can find them with lids! What to buy: If you want something that’s strictly practical, get the Pyrex Easy Grab 8-Piece Value Pack. They come with lids so you can transport or store food easily and are dishwasher safe. However, I really love this Rachel Ray Stoneware Oval Bubble & Brown Baker Set! It comes in many different colors and serves all the purposes of standard baking dishes, but they’re pretty so you can serve right from them! I’m thinking a set or two in my college’s colors would be fun for serving dips and nachos on game days. Apple pie fresh from the oven with a big scoop of vanilla ice cream makes me oh so very happy inside. It’s even better served in a gorgeous, cheery pie dish. You can go with a standard glass pie dish, but a colorful one would be a lot more fun! In fact, maybe I’ll get a few pretty ones and a couple of glass ones, so I’m prepared for all occasions. Thank you for walking through my decision-making process with me. Pie dishes also come in handy for breakfast dishes like clafoutis and german pancakes, so you can make the ultimate Sunday brunch at home! What to buy: Fiesta 10 1/4-Inch Deep Dish Pie Baker. This falls in the pretty pie dish category. It’s a standard size and you could get a few in different colors. They’d even double as serving dishes for things like cookies, they’re so pretty! Cake pans are an obvious kitchen staple. Right now I have a mismatch of different sizes found at garage sales, and it’d be nice to have a matching set so my layered cakes don’t look quite so funky. Standard recipes for cakes usually for 8 or 9 inch cake pans, and since most cake recipes make two layers, it’d be nice to have two of each. I’m less concerned with these pieces being pretty, since no one will see them anyways. I’m really looking for something functional that’ll produce evenly baked cakes and be easy to clean. 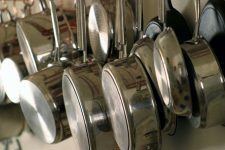 What to buy: I ended up choosing the Wilton Aluminum Performance Pans. Wilton is a great company to get baking products from. 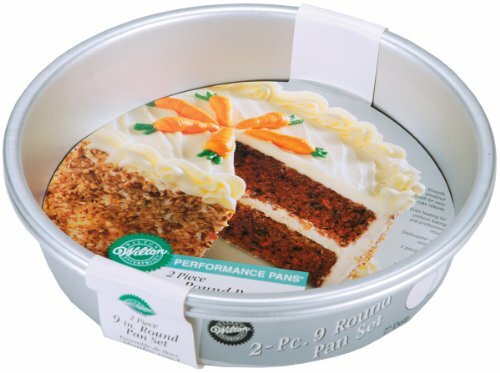 This Wilton Aluminum Performance set will give you great heat distribution so no need to worry about half the cake baking more quickly than the other half. Another kitchen staple. Cupcakes are widely regarded as one of the most fun treats to bake. I mean, they’re mini cakes, they’re bound to be adorable! Truly the perfect dessert for feeding a crowd, I’m even considering them for the dessert at our wedding. You can get creative with cupcake pans, too: think individual quiches, mini deep-dish pizzas, or cookie bowls to serve ice cream in! 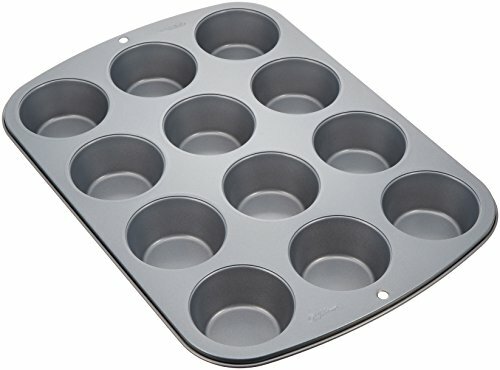 Even if you’ve already got a cupcake pan, consider getting a jumbo muffin pan or mini cupcake pan for a little variety! What to buy: Wilton managed to win me over again, so I added the Wilton Recipe Right Nonstick 12-Cup Regular Muffin Pan to my registry. Make sure to get a set of two so you can prep a pan while the other is baking. These Wilton Recipe Right Nonstick Muffin Pans are nonstick so they’re a bit easier to clean, extra important since it can be hard to get the crumbs out of the nooks and crannies. Just in case you can’t get it all, though, it’s dishwasher safe! They come in several different sizes, including mini, because cupcakes can get even smaller. Make sure your kitchen is stocked with at least two standard loaf pans. 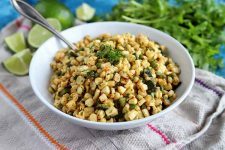 You’ll need them for zucchini bread and lots of other baked goods, and even things you wouldn’t have thought of, like meatloaf. If you’ve already got a standard set, look at something a little more fun like extra long pans or a whole pan with mini loaf tins! Just like my cake tins, I’m looking for something that’ll distribute heat evenly and be easy to clean. 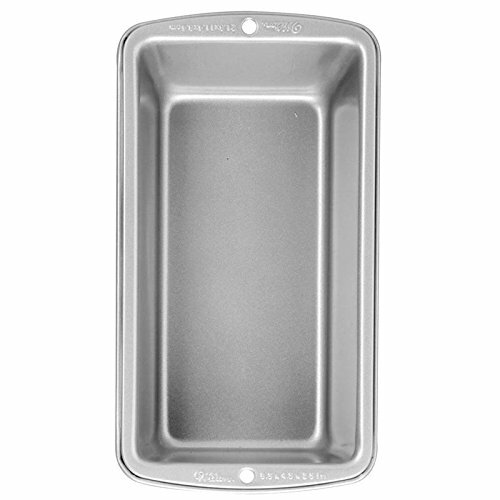 What to buy: Wilton Recipe Right Standard Loaf Pan. Make sure you get the two pack, it’ll make your baking a lot easier! 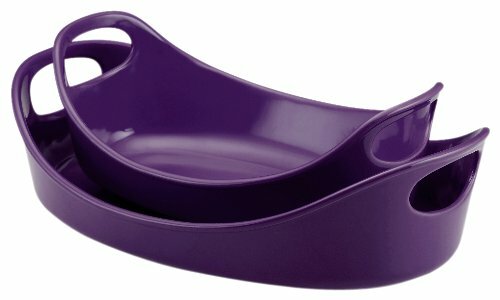 These Wilton Recipe Right Loaf Pans are very well reviewed and described as being easy to clean. If you do want to go for something a little different, try this Baker’s Secret Nonstick Petite Loaf Pan. Perfect for baking lots of little loaves to give out as gifts! 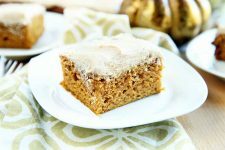 I use rimmed baking sheets for so much more than baking cookies in my kitchen (although this happens a lot, too). 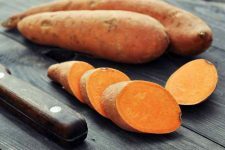 They’re great for making sweet potato chips, roasting chicken thighs, and baking a lot of veggies at once. 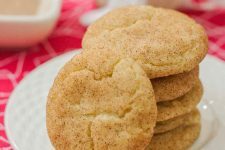 Have at least two good quality baking sheets in your kitchen and a few large cooling racks for those hot cookies and crispy chips. 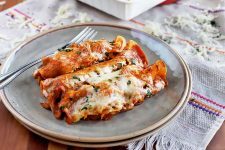 What to buy: I’ve used and loved the Nordic Ware Natural Aluminum Commercial Sheets before, and I can’t wait to have a few more. 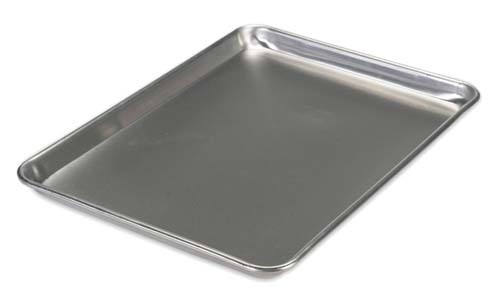 Aluminum is excellent for baking because it distributes heat so evenly and these commercial grade baking sheets will last a long time. I’m going to get two “big sheets” and a “half sheet” so I have a few different choices. Read our complete review of these superb Nordic Ware pans. 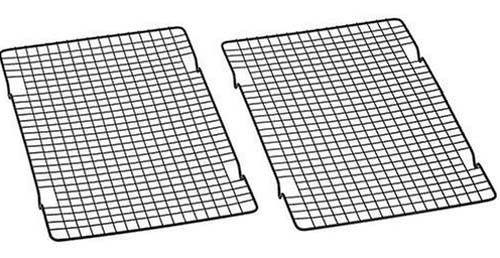 For your cooling racks, try these Baker’s Secret 10×16 Inch Nonstick Cooling Racks. Although I’ve been known to use a glass to roll out my bread, a solid rolling pin is much safer and easier to use. They aren’t a tool that’s needed often, but you’ll appreciate having one on hand when you do get that late night craving for sugar cookies. You may or may not know this, but there are lots of different options for rolling pins out there: marble, wooden French rolling pins, and just plastic. I love wooden French rolling pins for their simplicity and light weight. The marble rolling pins are great, but they’re difficult to use and even harder to store. 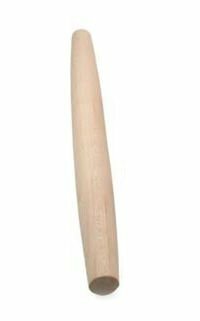 What to buy: JK Adams Maple French Rolling Pin. This rolling pin has a metal rod to give you a little more leverage when rolling out your doughs, but it still retains the light weight of a French rolling pin. The JK Adams Maple French Rolling Pin is also easy to clean, my favorite kitchen product attribute! My fiancé and I love pizza. Like really, really love it. We would eat it every night if we could and not gain a hundred pounds. Dang pre-wedding diet. Although pizza makes a great meal for delivery on those lazy nights, I really like making my own every now and then and for that you really need a pizza stone. Homemade pizza dough always tastes better (and is better for you!) and it’s fun to top it yourself. Using a pizza stone has changed my homemade pizza game. Now there’s no question, my pizza is far superior than anything that comes in a cardboard box. 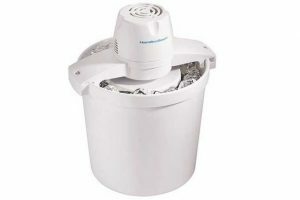 The one I have was bought with a college student’s budget and is on it’s last leg, so I’m looking for a bit of an upgrade for my registry. What to buy: Although traditional pizza stones are ceramic, my love of cast iron has me eyeing this Lodge Pro-Logic Cast Iron Pizza Pan. I know that the heat retention of cast iron would produce some perfect pizzas. If you want to stick with traditional ceramic, try this Wilton Perfect Results Ceramic Pizza Stone. When I was twelve years old, I had creme brûlée for dessert at a fancy restaurant my parents took me to for the first time. Ever since that magical moment, creme brûlée has been my favorite dessert. 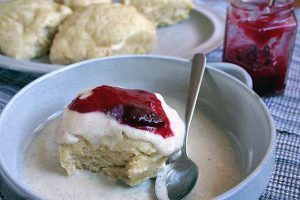 There’s nothing better than cracking the caramel topping to find creamy custard, even better with a berry compote. Unfortunately, I don’t have any ramekins, so no creme brûlée has been torched in my kitchen (Oh! By the way… a kitchen torch is an awesome tool to have!). Yet. Ramekins are great for all kinds of custard, individual fritattas, our individual fruit crisps. 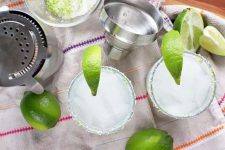 These are definitely making it on to my registry! 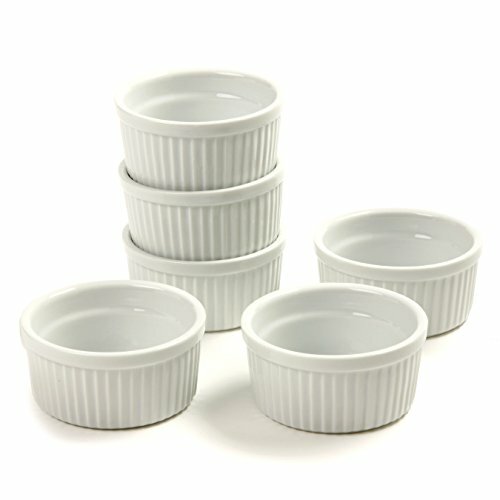 What to buy: Norpro 6 Piece Porcelain Ramekin Set. 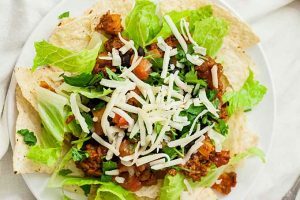 A 6-piece set should be enough to serve a small dinner party, but if you usually throw bigger shindigs, buy two sets or get something a little bigger. My fiancé’s favorite dessert is cheesecake. I’ve got to hand it to him, the rich creaminess of a good cheesecake definitely makes it a contender for a top five spot in my favorite desserts. Unfortunately, this isn’t something I’ve been able to properly make at home because I don’t have a set of springform pans. A springform pan is a cake pan with removable sides, which most cheesecake recipes and several other cake recipes will call for. 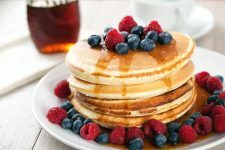 They’re great because they have much higher sides than traditional cake pans, so they’ll give you a bit more variety with your baking. 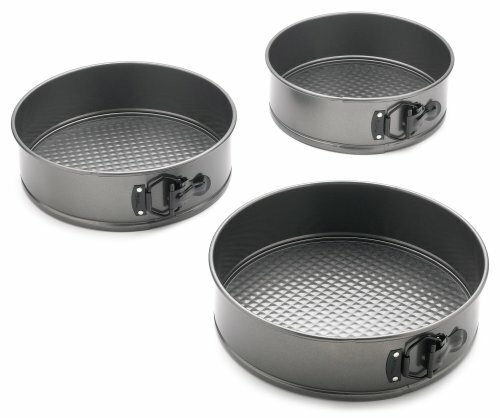 What to buy: Wilton Perfect Results 3-Piece Springform Set. I like this three piece set because it’ll allow me to make a small cheesecake for my fiancé and I or a larger cake to feed a crowd. The Wilton Perfect Results Springform Set is also super easy to clean and store because they stack in each other. Have you ever had a madeleine? Madeleines are French spongey, buttery cookies shaped like shells, and they are absolutely delicious. You can make them in a variety of flavors and dip them in icing or melted chocolate. You can’t just bake them on a cookie sheet, though. They require a special mold, but I promise they’re well worth it! What to buy: Freshware 18-Cavity Silicone Madeleine Pan. Silicone is super nonstick which is what these cookies need. It’s also dishwasher safe! 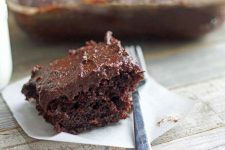 This is another piece of bakeware you won’t necessarily use often, but is good to have on hand when you come across that need-to-bake recipe. I don’t have one yet and am super excited to add this to my collection! Bundt cakes are some of the most beautiful cakes out there and make an even prettier presentation for parties, likes baby or bridal showers. In fact, we have a delicious bundt cake recipe of our very own here at Foodal of lemon, rosemary, and goat cheese frosting. Check it out…it could be the perfect choice for a rustic-themed wedding! 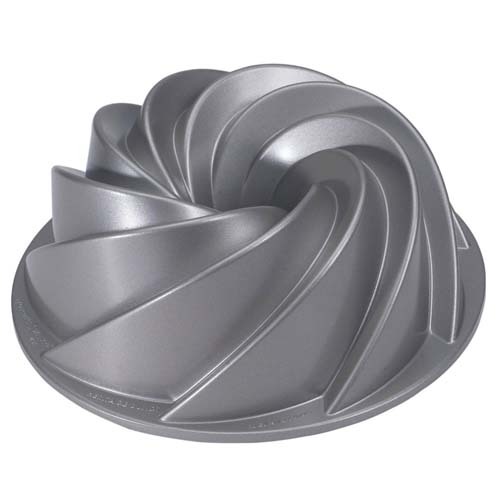 What to buy: Nordic Ware Platinum Collection Heritage Bundt Pan. 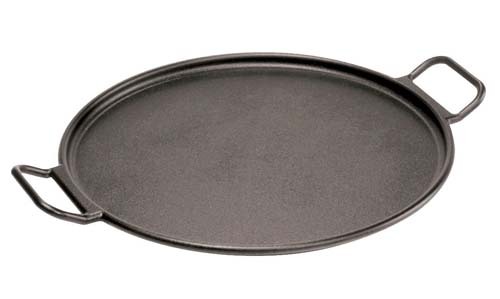 This pan comes in several different shapes and I have my eye on the spiral. Can you imagine the gorgeous cakes?! Cake decorating supplies aren’t strictly “bakeware”, but if you’re going to invest in some of these pieces, you might as well make sure you’ve got the tools to make the most of them! 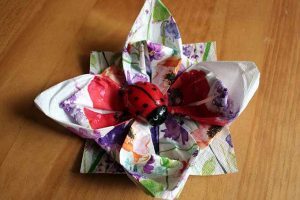 These can be used for decorating cakes, cupcakes, dessert breads, cookies, and whatever else you feel like getting creative with. Good quality pastry bags and tips that are easy to clean are handy to have around. If you don’t bake a lot, start with a simple set that you can add compatible tips to later on. You should also include an offset spatula for spreading frosting. It’s nearly impossible to get a smooth cake (if that’s what you want) without one. If you’d like to experiment with making candy, which is fun and so much easier than you’d think, you’re also going to need a candy thermometer. I agree the Pyrex set is a must for all kitchens for baking, microwave and leftovers. The Springform pans are a luxury I would love to have and would encourage me to bake more. Like many things you build up a collection of things and have your favorites that you use more. Don’t forget an oven thermometer! Especially in the case of a wedding registry when you are most likely going to be moving into a new place with an untested oven. I read somewhere that most people’s ovens are 25-50 degrees off! That makes a huge difference in baked items coming the way they should. Everyone needs an oven thermometer! I love that you included ramekins. They are just so useful. I use them to hold measured ingredients when I’m cooking, so that I don’t have to fumble with teaspoons while everything is potentially burning. Good choices for a registry! That Rachael Ray oval set is beautiful, but I would probably go for the Pyrex one. I think that it is more practical since it comes with the lids. I need that Nordic Ware bundt cake pan. I love baking bundt cakes and this shape is just gorgeous. I think you are off to a great start with your bakeware collection, and I can’t wait to see what else you add to your registry. I am really enjoying this series. Thank you for sharing it with us. The they make them in bigger sizes and sell them with lids. I’ve been thinking real hard about this 4 1/4 quart one. Would go well with any Fiestaware or enameled cast iron that you have. 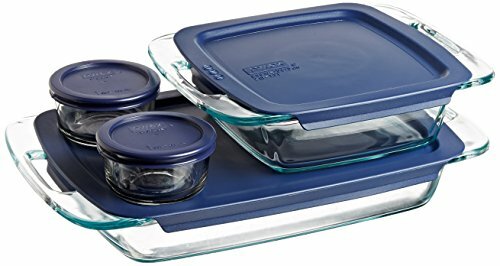 I love that Rachel Ray set, the colors are fun and the sizes look really useful. This is a great all inclusive list and things I was going to register for until I realized it was cheaper for me to scour Home Goods etc. for these items than put them on my registry. Just something to think of if you want to keep your registry small and are trying to find ways to pare it down. Things like this really encourage me to get divorced just so I can force my friends, who coincidentally have the means to get me good gifts now, to do so. I’d go through a wedding all over again just to get a few sacks of kitchen realted gifts & register at the places & for the things of my choosing. 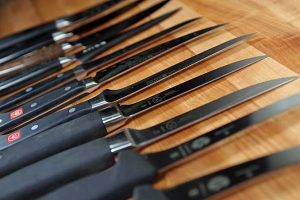 Nice tips, planning for your registry does seem like a bit of a hassle until you really dive into the problem and think about them. These are all great choices, especially the baking dishes. I know those came in handy for me and my wife. I like the deep dish pie baker, and aluminum baking pans. The aluminum pan seem like they’d be good for non sticking. I already have some glass baking dishes, but they’re now stained and I haven’t even had them that long. So I’m skeptical about buying more. I’d love to try out the deep dish pie as I’ve never made one before. Planning our registry around our kitchen was exactly what we did. Wen we moved into our new place we had pretty much everything, plus some, for our kitchen and pretty much nothing else. We had to share a twin bed, sit in folding chairs and hobble together some furniture from found objects for quite a while. But at least we could make any meal we wanted plus make our own juice all with FAR to expensive specialty knives haha. 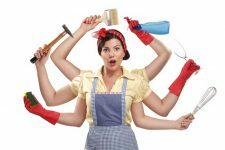 Surprisingly we do still “need”, use very loosely here, some kitchen items. I definitely want some remains and that cast iron pizza pan is intriguing. I think the next thing we will be getting will be some more glass containers for storing food. I want some Weck jars for this. They are so pretty, can be used for canning, and are much safer and longer lasting than plastic. Another thing we need would be reusable produce and bulk food bags. I have some but am always running out.Making our kitchen more sustainable and reducing our plastic is my focus now.